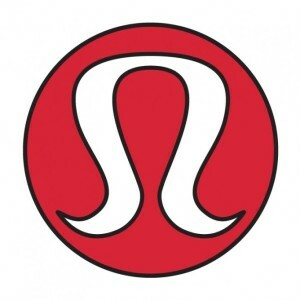 Lululemon Athletica is a yoga-inspired athletic apparel company. Founded just over 15 years ago, Lululemon has become the go-to brand for athletic apparel for yoga enthusiasts. With Big Apple Buddy’s personal shopping service, you can now buy direct from the USA Lululemon Online Store anytime, anywhere. If you're looking for a pair of fashionable yoga pants, look no further than Lululemon's stylish and comfortable range. For a hugged sensation, check out the Wunder Under Pant (Hi-Rise), High Times Pant or the In The Flow Crop II. For a more relaxed fit, the Jet Crop (Slim), Sunset Salutation Crop or Dance To Yoga Pant are great choices. Lululemon also has a wide collection of must-have tops, tanks, sports bras, sweaters, wraps and bags to complete your workout outfit. Keep warm on colder days with Lululemon's water-resistant jackets, and feel comfortable and look great at the beach with the latest swimming shorts and bikinis. As Lululemon has grown, it has caught the attention of many Hollywood celebrities. Their chosen styles and colors are often found exclusively at the USA online store. Unfortunately, Lululemon's latest and greatest are often not available for international shipping. Big Apple Buddy, your personal shopper, can however help you buy any item from the USA Lululemon Online Store and ship it to your doorstep, regardless of where you live. If you would like to buy from the USA Lululemon Online Store, simply let us know which items you would like to order (by filling out the form on the right) and we’ll get back to you with a free international shipping quote within 24 hours!